Many companies with analytics ambitions are just now realizing how important data quality and data management is to their entire operation. Imagine having the fanciest, most expensive car in the world. The only fuel that is available is contaminated by just a little bit of dirt -- it doesn’t take a lot to mess a motor vehicle up. At best the car will sputter and jerk, drive slowly, and be a major disappointment. At worst, the engine will quickly die rendering the expensive car useless. One of the basic, least expensive inputs such as a $25 tank of gasoline is crucial for making a highly engineered system work. When it comes to doing production analytics in the oil and gas industry, companies are investing a lot of resources in teams and systems only to realize that their primary input of data from the field is contaminated in some way. Their data quality issues prevent them from getting past the analytics starting line. Improving data quality is the only way they will ever make their high-tech analytics machine work. The trouble is, they often don’t know exactly what is data quality in oil and gas or the data quality measures that are causing their data quality problem. When oil and gas companies set out to do analytics, they want to build supersensitive models that accurately predict and diagnose problems based on the latest real-time data. The metaphor we use to explain this is the newspaper. Today’s news is what really matters for these analytic models and what can drive decisions. However, if any of it is missing, even a short story, or if there is a small inaccuracy or the news arrives even a few minutes or hours late, then this will make it impossible to make the best decisions. In the real world, data issues cost time and money. Data quality management in oil and gas is making sure that the news is always accurate and timely so the models can help operations teams make faster and better decisions. Beyond a company’s analytics ambitions, poor data quality can spin companies in circles who are using SCADA to manage their business better. It causes them to chase false alarms, ignore important alarms, fix the wrong problem, and spend hours trying to decide what is really going on, while never really knowing with much certainty because of lack of trust in their data integrity. It’s only now, however, that many companies are realizing just how important data quality and data management is to their entire operation. This sends companies back to the drawing board, without really knowing how to assess their data quality and know what needs fixing. 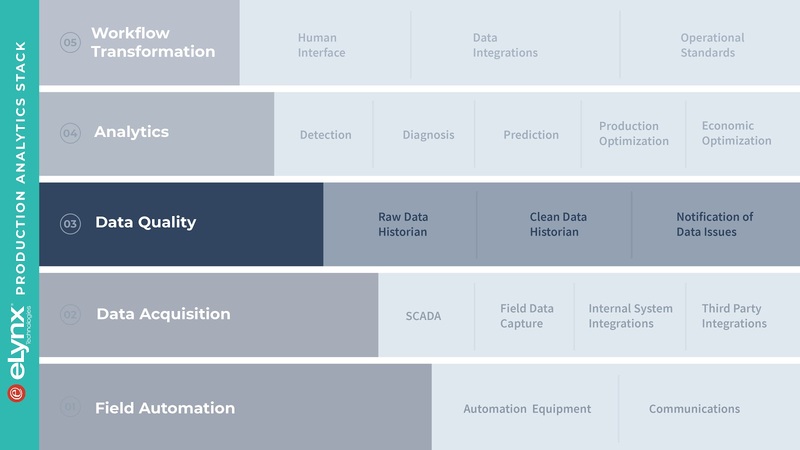 Our answer is simple: we don’t clean data, we always generate clean data. Data cleansing will always be imprecise because estimates will be needed to replace errors in data or fill in missing values. Cleaning data may work to build a static analytic model from a complete data set, but in the real world, there is not time to clean data. Also, if you are constantly cleaning data, you are constantly introducing imprecision. In order to achieve consistent data quality in business analytics, the data has to be clean as it is produced from the field. We are experts in doing this. eLynx was the first oil and gas technology to offer and perfect SCADA as a service. This means we built the turnkey SCADA solution where we learned to work with all lift types, equipment types, and sensors to make sure they were installed and always functioning and communicating properly. Through these years of experience with many customers, we evolved our way of ensuring the right data gets read at the right intervals. We also developed a data quality assessment tool to check the quality of this on an ongoing basis. This allows us to quickly spot and fix problems so today’s news in the oil and gas operation is as accurate and timely as possible. When companies want to go to the next level with analytics they will already have real-time quality data. As you can see, data quality is one of the foundational components of our product offering. There is no way to make meaningful gains without getting this part right and always staying on top of it. It’s not our data. It’s our customer’s data. And they can trust their decisions based upon it. A big 3 consulting firm assessed the analytics worthiness of years of SCADA data we collected. They rated it as some of the best they had ever seen in any industry. It is analytics ready and is the backbone for our SCADA offerings. Our methods of collecting quality data and assessing it is unmatched because it takes a hard-to-replicate mix of experience, technology, software, process, and communication to always be getting the right kind of data in a timely manner each and every day for over 300 customers and 16,000 wells. We’ve built the industry’s first and only data quality assessment scorecard. It’s not as painful and time-consuming as you might think to learn where your problems and opportunities are when it comes to generating quality data. It will grade you on the key dimensions of data quality for every well and piece of equipment in your field. While we can gather all the data we need in about a week and prepare the overall scorecard, our data quality engineers will be able to identify the specific problems and recommend how to fix these. This is the best way to really understand where your company is in terms of data quality. Use the contact form to get in touch and have a conversation with one of our data quality experts. 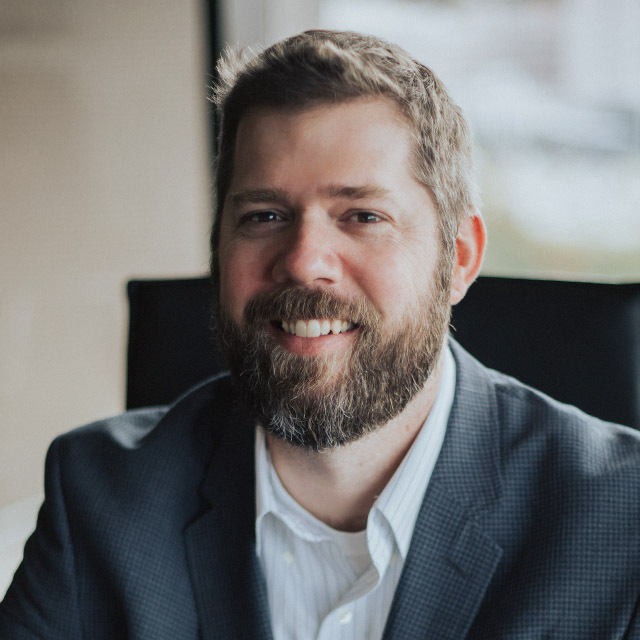 Scott Haven became Chief Business Development Officer shortly after joining eLynx’s product team in 2018. Scott focuses on designing and driving the entire customer experience at eLynx.